Simon Says Christmas To Die For! Thank you for joining us for the Christmas Critters Challenge and we hope you will all join us again this week too. Use any die cut on your creation and if you don’t have one you can use a punch instead. The main thing is to make something for Christmas and have fun! We would also like to wish all of our friends in the United States a Very Happy Thanksgiving. We hope you have a lovely time with your family and friends. 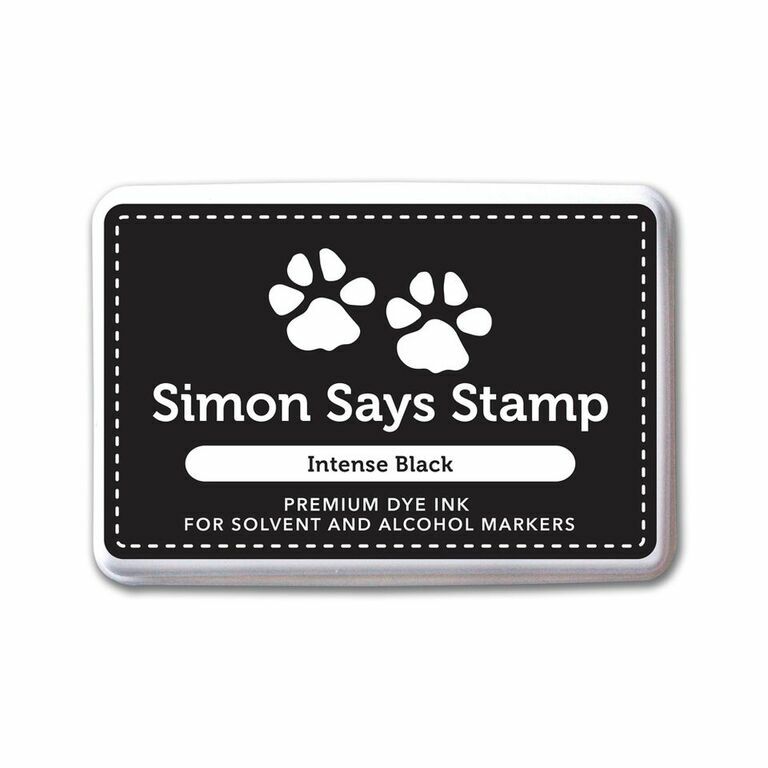 This week we are showcasing our very own Simon’s Exclusive Products. You don’t have to use them for the challenge but if you have them we would love to see them used. 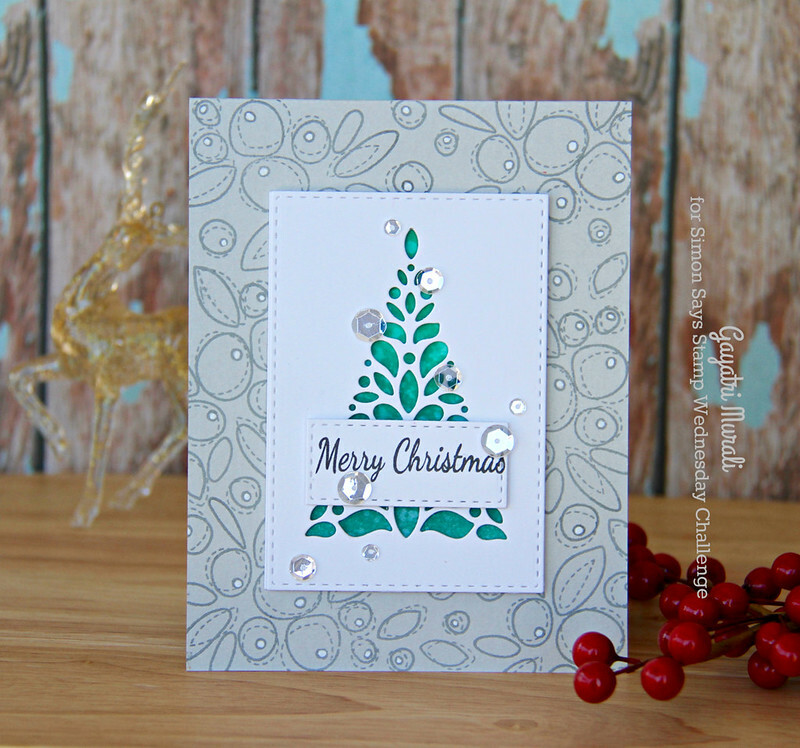 Simon Says Stamp Corbel Tree die caught my eye the moment I saw it on the release. It is so pretty. I have used this die to make my card for the challenge today. I die cut two small stitched rectangle panels using Simon Says Stamp Stitched Rectangle die set and white cardstock. I die cut the Corbel Tree die on one of the rectangle panel and sponged Pine Needles and Forest Moss distress inks on the other. I spattered some clear water on the sponged panel and dabbed the excess off. Then adhered the die cut panel on the sponged panel using foam adhesive. I stamped the sentiment from an older stamp set from Simon Says Stamp on a smallest stitched rectangle die cut and adhered on the bottom centre of the tree panels. For the card base, I used Simon Says Stamp Fog cardstock. My favourite card stock base colour next to white. I stamped the card front with the images from Simon Says Stamp Winter Flowers stamp set. I used Soft Granite ink from Hero Arts. I used Sakura White gelly roll pen to add white to the dots on the berries. This adds interest to the card instead of it being just solid grey. Finally I embellished the card with Sparkly Clear sequins from Pretty Pink Posh. If you like to pin my card, use the picture below. I have listed all the supplies I used to make my card below. 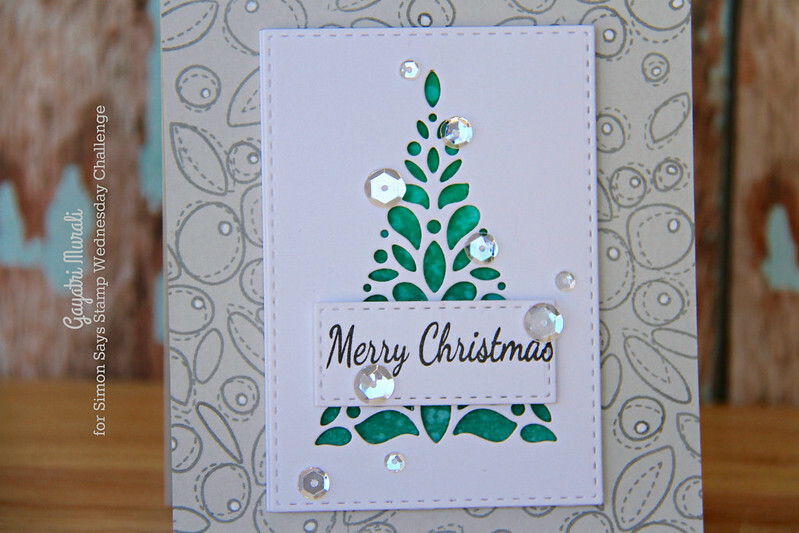 Wow, that stamped background is awesome with the Christmas tree! I thought they are pattern paper!! Really BEAUTIFUL, Gayatri!! Love love this! Beautiful card! 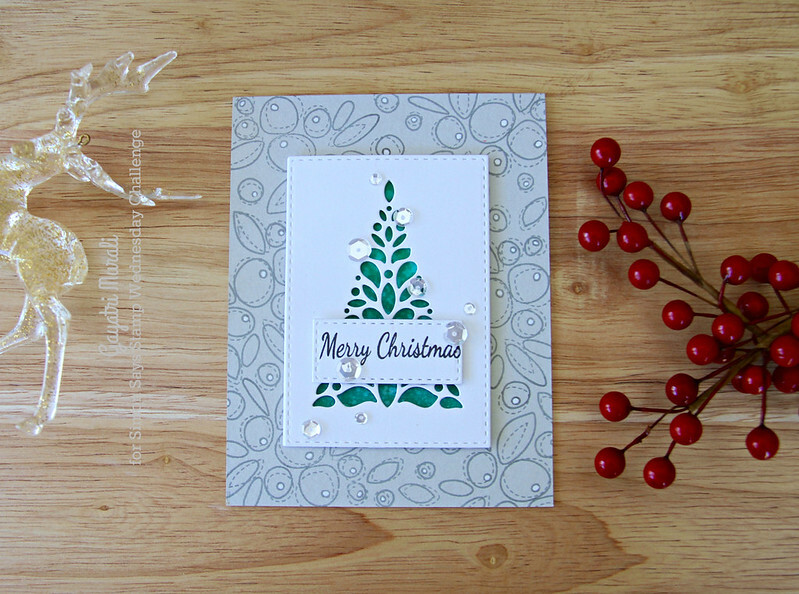 Love the cut-out tree, but the background on the card base makes the focal point pop! Love, love this design! !